There is a deep need in all of us to find our purpose–our reason for taking up space on this planet. Purpose motivates us. It makes getting out of bed easier, but it also gives us joy in the journey. I once sat on a beautiful Carolina beach in deep sadness. My small children were playing in the sand, but despite my “mommy” purpose and all of the blessings in my life, I sat there depressed. I sat in a tide-pool of self-pity because I could not remember any dreams the younger me once had–the me before marriage and children. I felt terribly guilty for my sadness. My life was full of blessings. But something was missing. I had Jesus in my life. But something was missing. The ache was quickly becoming a black hole. A good friend held my hand that day. She listened to my woes, and then she reminded me to worship the One who created the foamy waves creeping toward my toes. 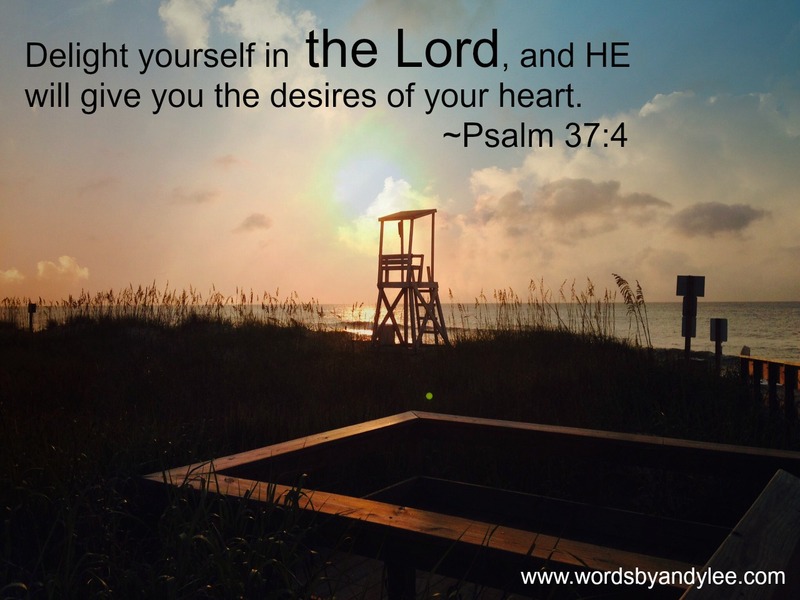 We sat on the beach with worship music in our ears, and I began to trade my sorrows for song. I didn’t automatically remember my dreams in that moment nor was I filled with spontaneous joy, but that was the beginning of the process to purpose. I didn’t even know what the desires of my heart were. That was my problem! But something inside me knew this was my best option…really the only option. So, I intentionally played worship music ALL THE TIME. I made myself sing out loud (when nobody over the age of 5 was listening). I made myself worship washing dishes, changing dirty diapers, driving the car to Wal-Mart, cooking dinner. All. The. Time. Some days were good. Some lonely and frustrating. But in time the memories of the dreams I once owned began to return. Some were big, and some were small, and one by one, as I practiced worship, some of those dreams became reality for a little while. I have a theory: Rather than one big purpose for us, God plans many purposes, but we’re in danger of missing smaller yet equally important purposes while chasing the big carrot dream. We don’t want to miss the purpose He has for us TODAY waiting to find the big purpose He has for tomorrow. CHALLENGE: Play worship music, sing out loud, pray prayers of praise, and ask God what purpose He has for you for the next 24 hours. Worship Him no matter what your circumstances, good or bad. Use them for His glory. He has an eternal purpose for your beating heart today. What are ways you worship God? I’ll be back next week with part 2 and part 3 of this series. Have a great worshipful weekend. I listen to worship music all the time. I am often inspired by the lyrics and find I am in communion with God while listening. Thanks for stopping by, Lindy! I’m so glad these words were helpful to you today. Keep on worshiping!